BIG4 Airlie Cove Resort and Caravan Park is a tranquil 28 acre tropical haven, offering tourist park accommodation in a lush natural environment. The park is located just past Airlie Beach and its setting along Lucas Creek is delightful. A protected amphitheatre next to Conway National Park. 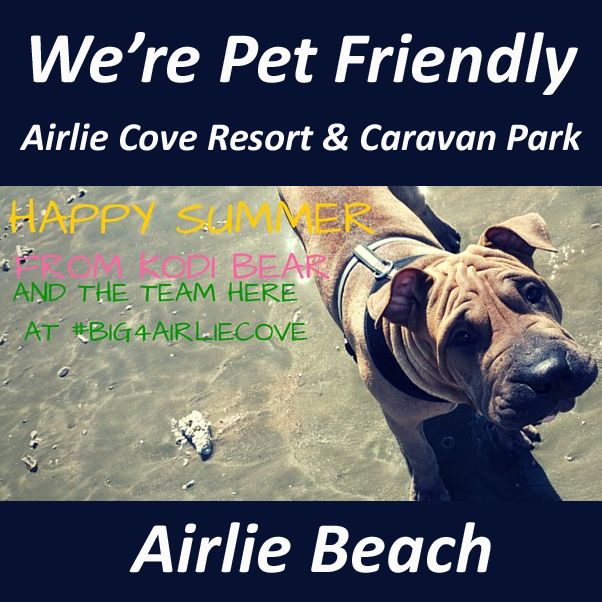 BIG4 Airlie Cove offerS a natural and peaceful environment tucked away from the road and home to an array of Australian wildlife including kangaroos, wallabies, goannas, possums, scrub turkeys and parrots. With this we offer an affordable Whitsunday holiday resort park including cabins, caravan and camping accommodation - and we're Pet Friendly! BIG4 Airlie Cove Resort and Caravan Park is the closest BIG4 park to all the tour drop off points that take you to the fabulous Great Barrier Reef and the Whitsunday Islands - so why not make tracks to our place NOW!